After debating, which seemed like an eternity on what scope to decide to get, I finally made my decision which will cost me more, but fullfill my wants and needs. I placed an order on a brand new Meade 12" LX200ACF with Meades rebate package of a free solor scope. It sounded great and I thought I made my decision. But I wanted to do more with astrophotography, and I was limited on the capabilities of the Meade SCT. I didn't like the wedge anymore, and I wanted a German Equatorial Mount (GEM). Also I was weighing in on the manufacturer warranty. Meade had a one year warranty. Anyway, I decided to go with Celestron on its high definition scope series called the Edge HD. I broke down after doing a lot of research and found the 11" Edge HD with the CGE Pro mount. 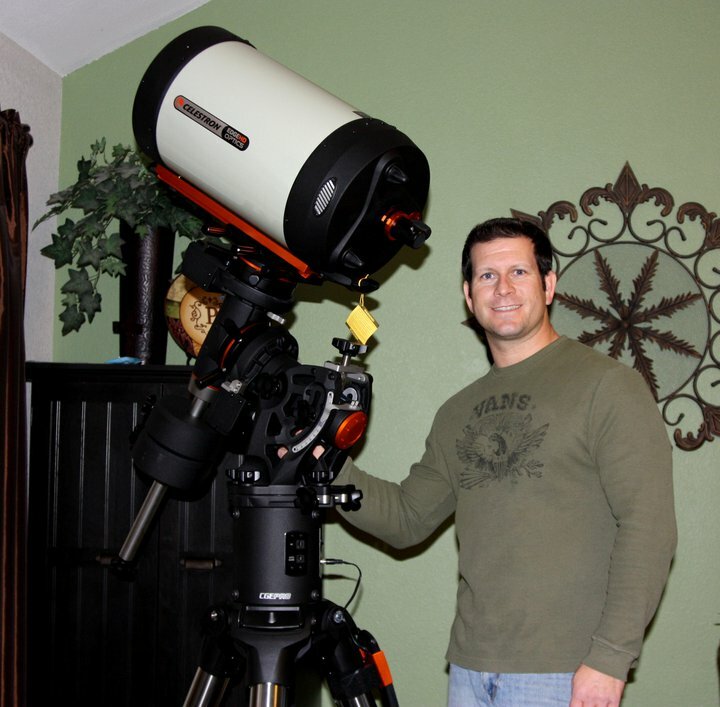 It has a two-year warranty and the high tech GEM with HD optics suited well for astrophotography (so it says right). I made the purchase after looking at the high cost and I knew what I wanted. Why spend so much on it? It's a deserving gift to myself and it's not a purchase I make very often. I knew I could afford it right? I finally received it on January 10, 2011 and set it up in my living room in awe. I couldn't believe how massive and heavy this thing was. It's built like a tank and the go-to motors are in working condition. Things are a little different with my Celestron. I am so used to being a Meade person. Time to get used to being a Celestron person. It will be different, but it should be fun. Looking forward to buying extra accessories like the Hyperstar 3 for fast exposures.